It’s that time again! Another year has slid by like a whirlwind. Another year of growth and change, intimate exploration and delicious juiciness. So, it’s time for a little reflection. How has the year been for you? Have you taken the time to get a little adventurous? To play out some fantasies and explore your boundaries in a safe and loving space? This time of year is great to look back upon all the ways that we’ve allowed ourselves to grow, and all the things we would really like to do if we give ourselves the time and space to do so. Plus, it’s time for stocking stuffers! Toys aren’t just for kids. We can get a little daring and pick up some beautiful adult toys for ourselves and our loved ones. Time for a little bounding and bouncing, making the silly season all it can be. So, what would you really like to experience? What would you really like to share? The year’s not quite over yet, and there’s still time if you’d like to make the most of the moment. So, once you’ve got the stockings stuffed and the holiday plans sorted out – maybe even before then if you’re really adventurous – you can take the time to arrange a little intimate time with that special someone. After all, there’s no time like the present, and this season is all about presents. What is the most exciting toy you can think of? What is the most daring and delicious sexual adventure you can imagine? Do you really want to wait until your New Year’s resolutions to bring that into your experience? How much juiciness can you bring into this season? Go for it! Get online and pick up some yummy gifts. And set the scene so that you can get an early holiday celebration going, bringing some delicious times into your bedroom and your relationship. I know that next year will be huge for me, chock full of travel and new offerings in my work. And I’m loving this new energy that’s coming in. It seems like each new year brings more opportunities to share intimacy and growth on ever deeper levels. Plus, the ever-present challenge to stay in the flow of life and move with the winds of change. Another year to explore the depths of my being and share delight with friends, loved ones, and clients. A time to be jolly and bright, full of the delight that life has to offer. So, I’d like to wish you all the most indulgent Christmas season imaginable. And a glorious New Year to follow. Life is the greatest present of all, so it’s time to live it for all that it’s worth. Remember your blessings, and above all, have fun. 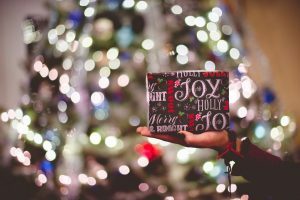 Blog Comments Off on Seasons Greetings!